Moving Into 2017 we at OC3D want to be more transparent with our readers and be clearer when it comes to exactly what in-game settings we use when testing any new game, especially when the game has no pre-defined graphical options. We pride ourselves in testing games with a variety of different graphical settings, rather than just blindly setting a game to ultra and failing to give our readers the much-needed performance data that they crave. After all, not all of us have the money to build a PC that is capable of Ultra settings in every game and in many cases Ultra settings are simply designed not to run well on current generation hardware. Below is a table detailing exactly what in-game settings we use when referring to Very Low, Low, Medium, High and Very High graphical settings later in the review, as these are not pre-defined settings that are built into the game. Below is an explanation for all of the games graphical options. - Display Mode…Full screen, Windowed, and Borderless Window modes are supported. - Texture Filtering…option ranges from Very Low to Very High. This is essentially your Trilinear to Anisotropic filter that goes all the way up to 16X. 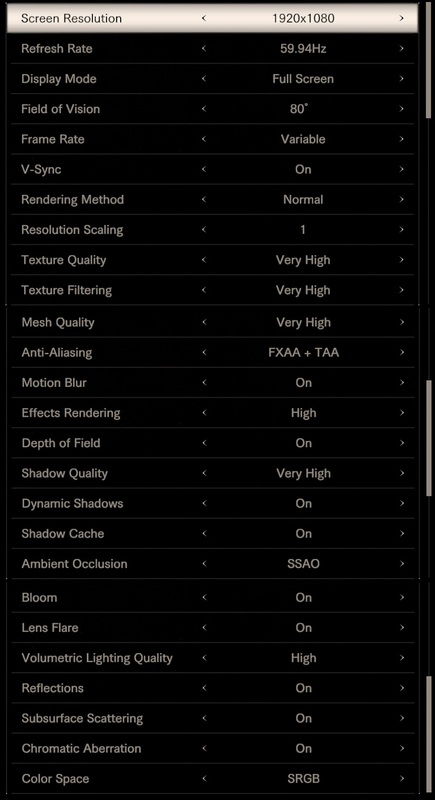 - Ambient Occlusion…Selectable options include OFF, SSAO (Variable), SSAO, HDAO, and HBAO+.